Welcome to Prepaid Phone News' regular Sunday Prepaid Phones on Sale this Week post featuring the best current US prepaid phone deals. This week's Deal of the Week is the new Microsoft Lumia 640 for AT&T GoPhone which is available on the AT&T site for $59.99 if a $25 or higher GoPhone Airtime card is purchased at the same time. The regular price is $79.99. The Lumia 640 uses a 1.2 Ghz quad core Snapdragon 400 processor and has a 5 inch 1280x720px HD Gorilla Glass 3 screen, 1 GB RAM, 8 GB internal memory, support for SD cards up to 128 GB and a removable battery. There's an 8 MP main camera with auto-focus and flash and a 0.9 MP front-facing camera. The Lumia 640 ships with Windows Phone 8.1 with an update to Windows 10 expected within a few weeks. If they act fast, Lumia 640 purchasers are also eligible for a free one year subscription to Microsoft Office 360 (must be redeemed by 7/31). Which covers all the bands used by both AT&T and T-Mobile in the US. Quadband GSM and 2100 MHZ UMTS will give 2G worldwide and 3G on most non-US carriers. MetroPCS customers can get Metro's version of the Microsoft Lumia 640 at MetroPCS stores for just $39.99. Amazon Online only. Free shipping on orders $35 and up. $20 instant rebate on the following phones when you buy a $25 or higher GoPhone refill card at the same time. BestBuy Free shipping on orders $35 and up. Cricket free shipping, sale prices apply to new or current customers but require payment for one month's service ($25 - $60). Rebates require activation on a new number. Unlocked LG G4 H815 LTE Android phone (new) $508.90 free shipping. This is a UK model that supports all of AT&T's bands and all of T-Mobile's except 3G on AWS and band 12 LTE. Free shipping. Verizon (or PagePlus) Motorola Moto G (1st gen) Android phone (manufacturer refurbished) $39.99 Free shipping. Verizon (or PagePlus) Motorola Moto X 16GB XT1060 (1st gen) LTE Android phone (manufacturer refurbished) $119.77 Free shipping. Verizon (or PagePlus) Samsung Galaxy S III SCH-I535 LTE Android phone (new) $169.95 Free shipping. Verizon (or PagePlus) Samsung Galaxy S4 i545 16 GB LTE Android phone (seller refurbished) $194.95 Free shipping. On phones listed below rebates are instant in-store, mail-in online. Microsoft Lumia 640 LTE Windows phone $39.99 after $30 rebate (reg $129.99) (ends 7/31) (in stores only). Includes free one year subscription to Microsoft Office 360 (redeem by 7/31). Second month of service FREE when you port a number from a non-T-Mobile based service to PTel, activate it on a $35, $50 or $60 plan and pay for the first month. TracFone Alcatel Big Easy Plus big button candy bar $39.99 with 800 minutes and one year of service. Straight Talk Free shipping on phones $29.99 and up. Use Brickseek's Target Inventory Checker to check for price and availability in your area by DPCI number (after price in listings below). TextNow Wireless Shipping $9, airtime purchase ($18.99 and up) required. Tracfone Free shipping on orders of $19.99. Free shipping of SIM plus airtime orders. Updated 7/29: New Boost Mobile, FreedomPop and Virgin Mobile deals. You said the 640 would work on any AT&T MVNO? How about on Tracfone with there new BYOP. Yes it will work with one of the new TracFone AT&T SIMs. Tracfone's BYOP page, http://tracfonewireless.com/byop/, says "If you have an AT&T or unlocked GSM smartphone, you're compatible!". Various other pages along the way to buying a SIM say similar. AFAIK, there's nothing that specifically says the AT&T GoPhone Lumia 640 is compatible, but it should be. However, I'd try to get AT&T to unlock it for free first. The process worked very well for me for a Lumia 520. How does one buy this from AT&T without a monthly plan? It won't let me skip that step, not will it allow me to remove the plan from my cart. You don't have to remove the plan just remove the airtime card that is automatically added to the cart. If you don't activate the included sim card within a certain number of days, the account is closed. You can still use with phone with any ATT-compatible plan. 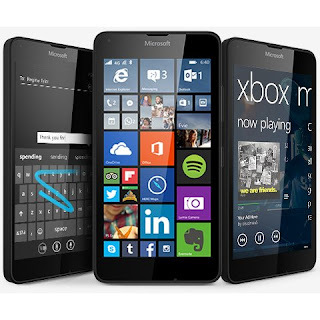 Does the Metropcs Lumia 640 have the the bands for AT&T and T-Mobile? Yes but it's expensive to get unlocked so the GoPhone one is a better choice for AT&T or T-Mobile. AT&T HTC Desire 610 LTE Android phone $50.98 (was $169.99) 080-02-0280 is this corret. This would be a steal if my local Target has one. That's the closeout price. Use Brickseek to check availability in your area. Dennis, Does METRO PCS in general, make it "difficult AND expensive " to unlock METRO PCS-Branded phones? If so, why not just utilize a T-MOBILE-Branded phone on METRO? You would still be able to receive all the Android System updates, wouldn't you? Sone MetroPCS phones cam be unlocked inexpensively, some can't. There's no need to unlock if you want to use the phone on MetroPCS. Unlocking will have no effect on whether a MetroPCS runnng on MetroPCS will get system updates or not. Metro will unlock after 3 months (you would end up having to pay for 4 months of service) See https://www.metropcs.com/terms-conditions/phone-unlock-policy.html. You can obviously still use it on Metro if you're not planning on moving, but the unlock is free and it opens some options should you later decide to move to another carrier or sell the phone. Will amazon price match bestbuy ? How? The phone I want is sold out in my area Sprint LG G2 for 150 dollars. Amazon does not price match cell phones unless they are sold with a postpaid plan. Anyone know if the GoPhone version of the Lumia 640 has the HERE+drive maps? When I looked at the packaging, it only shows an icon for the AT&T navigator app. I'd be using on Cricket. It Here isn't pre-installed it should be available from the Windows Store. What Dennis said is correct, Here drive+ installs just fine on the 640. And to those unsure of how well windows phones work I just say give them a try. Best buy , among others, has a 14 day return policy. You might be surprised how good they are. I was wondering the same thing. Also, is there anything that windows phone does better than android? Windows phones seem to be cheaper but also have lower specs to go along with that lower price. Whenever I ask around about windows phone I never hear good things. Any thoughts? Windows phones are often criticized by those who haven't used them. They are more secure than Android, great on battery life, no memory leakage problems, work very smoothly with lower specs., tend to have much better cameras and photo apps at their price points, work seamlessly with One Drive (photo backup and online storage), work seamlessly with Outlook.com and online Office stuff, and in general offer a much more pleasant experience for the price. Find an $80 Android phone that is half as good performance wise and you are lucky. The criticisms from Android users are valid, centering on problems including a major lack of apps for Windows Phone. I am an Android user that is one of those who "hasn't use them", because there's nothing like the apps I need, and can find on Android and IOS. But not Windows Phone. I know. I checked the desert island that is the Windows app store, making the Windows Phone experience closer to that of a feature phone (again, a feature phone with a superb camera) than a state-of-the-art smart phone. It is true that the cameras on the mid-range Windows phones are superb. But this advantage is lost when you move up to Android flagships. Android works seemlessly with One Drive, Outlook, and Office as well, I know: I use them. But trumping all this is that Microsoft is flopping like a fish on the dock when it comes to the future of Windows Phone. They most certainly don't have their act together, and that does not inspire confidence. Windows Phone is more secure because hardly any apps also means hardly any malware. Following the logical conclusion, a bar of soap carved in the shape of a phone is the most secure device possible. I guess if you describe more than 300,000 apps as a "desert island" Windows phone isn't for you. I have all the apps I need and want. Did you read about the latest Android vulnerability where 950 million phones are potentially hackable by sending a mms message? You don't even have to open the message and they can take over your phone. They just need your phone number. It's a meager selection: I know, I have looked for apps in some categories and have simply found none available for Windows Phone, making me wonder what proportion of those 300,000 Windows phone apps are things like knock-off Minion wallpapers. I believe in "be prepared": better to have the OS that will likely run what you need and haven't thought of yet than the one that doesn't. The real alternative to Android, to avoid the virus attacks, is IOS. No compromises there. If you like taking great photos with a budget phone and your app needs aren't (AND NEVER WILL BE) demanding, get Windows Phone. If you want to be able to do everything possible that a smartphone can do, and doesn't have a crippled OS, get an Android or iPhone. "And then there’s Windows Phone. Ah, Windows Phone. It’s certainly safe to say that in the app landscape, Microsoft’s baby currently lags a distant third. Make no mistake, there are plenty of apps on Windows Phone and the number of big players offering something for the platform is growing. Spotify, Dropbox, Facebook, Twitter, Vine and Instagram are all present and correct and that covers a lot of the apps people use on a daily basis. Actually, Instagram’s Windows Phone presence really shows how the OS is faltering with apps. It never gets updated, it lacks basic features (video, new filters) that we’ve had for ages on other versions. Developers seem to release an app, mentions it now supports Windows Phone and then turn their attention back to iOS and Android." To each his own. I have found the apps I want and need on Windows phone and I am very happy having a smooth operating, fast, and secure phone that costs a fraction of what most people spend, and has a good camera to boot. Plus, I own it outright and can use any prepaid service I want. I don't think you'll find anything close in value to the $80 (or less) Lumia 640 Dennis has highlighted. Thank you for the reply and the information. Even though the MS website could be wrong, I am more likely to believe it than a single user report on HoFo. The MS Lumia 640 is practically the same phone on ATT or Tmobile / MetroPCS and it's just amazing how the pricing is so different. I might pick up the 640 for about $80 at Walmart and just use as a small or pocket tablet when I am at a place with free wifi. Since this might be my first windows phone, I want to spend my time sampling it or test driving it before using for cellular service. And that phone for Tmobile prepaid is about $100 at Walmart, and would work nicely with the secret $30 plan that I can use for mobile hotspot. So many choices. Btw, I checked out the supposedly $39 price for MetroPCS but that price is after a mail-in rebate, and that is a no-go in my book. Where I live that Metropcs Lumia 640 cost me 40 bucks walk out price with the 40 dollar plan and nothing more. rebate was instant and didn't have to pay nothing but my first month service. Does anyone know an inexpensive place to buy unlock codes for the MetroPCS Microsoft 640? Thanks. Blowfish Unlocks (who I have used for several couple phones, but no MetroPCS or Lumia phones) advertises a MetroPCS Nokia unlock for $13. I assume that "Nokia unlock" meanss "Lumia unlock", since they're Microsoft phones now, not Nokia. You should verify before paying. I have also used an eBay unlock vendor (again, not for MetroPCS or Lumia phones), mobunlockingmaster, and they advertise an unlock for the MetroPCS 640 for $23. I noticed that Verizon Prepaid iPhone 4S is on sale for $99 (at the Verizon prepaid website). Do you know if the GSM radio radio is unlocked? (I was thinking of getting it and using it on Verizon for 2 months, adding $5 to my account, and letting it stay unused in Verizon for 4 more months, then moving it to Page Plus). Verizon GSM unlocked all the postpaid 4s but I don't know about the prepaid ones. did I miss it in the comments? is the metro 640 the same phone? and if unlocked will have all the same ATT & T bands too? or is the go phone the better all the carrier gsm option? I believe that the MetroPCS version is the same phone or very similar and supports the same bands. The main difference is that AT&T will unlock theirs immediately and Metro requires 3 months of paid service before it will unlock. dollar general has the zte maven on sale for $45. andriod 5.1, 8gb rom, 1gb ram, and works with at&t prepaid, postpaid, or any at&t mvno. makes a great burner/travel / spare/ insurance substitute phone. quad core chip. i got it and it runs snappy. before you slip in a sim card, or connect via wifi, you can go into apps and disable most of the bloatware and apps you never use. it is always a good habit to set up your phone and apps using wifi only. that way, if there are any problems, you can return the phone easily. setting up the phone on wifi before putting in the sin card and activating saves you a lot of hassle with returns and/or exchanges in case of problems. i found this out a long time age after having to exchange a straight talk phone at wal mart and the cashier ended up deactivating my account and monthy plan payment. took days and much time/many calls to customer service to fix her mistake. instead of an exchange with me paying the difference, she cancelled the original sale and that cancelled the service as well.